Halloween is all about having fun, right? 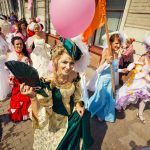 So it is fantastic when you are able to raise a few smiles with the costume that you wear. 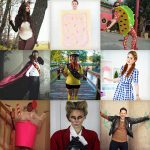 Here we have gathered together some of the funniest Halloween costumes of 2016 to help you find the one that will make you and your friends laugh! 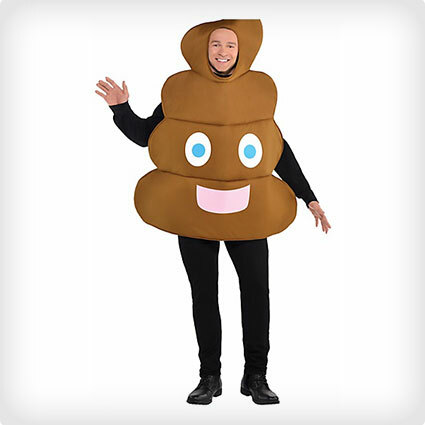 This fun looking one piece banana skin costume is perfect for those of you that want a bit of fun and silliness from your costume. 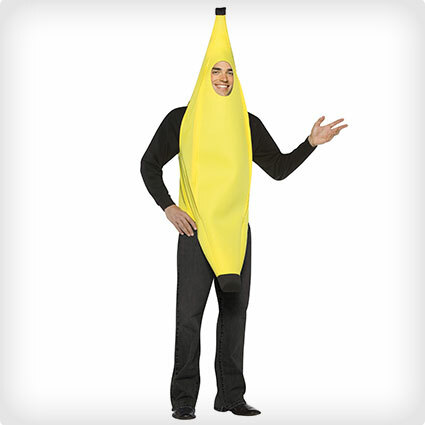 The costume comes with the one piece banana suit for you to wear. 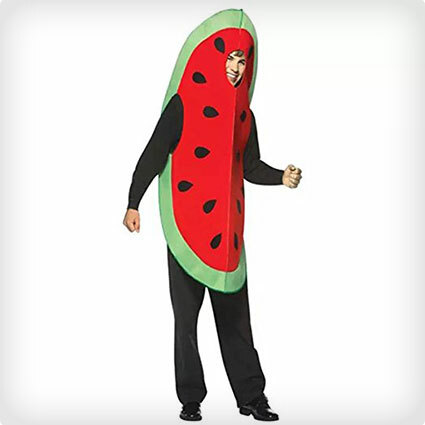 Now who wouldn’t love to dress as a watermelon and now with this fantastically funny costume you can. 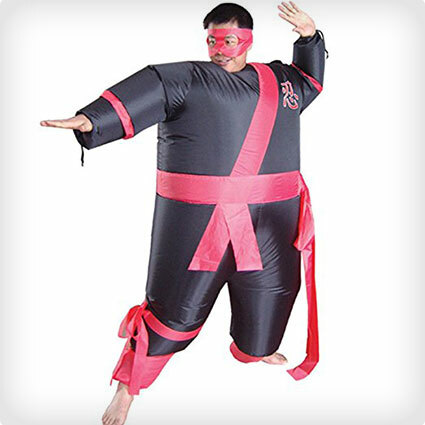 It looks just like the real thing and comes with the one piece watermelon design costume. Donkey kong the iconic barrel throwing ape that keeps mario on his toes. 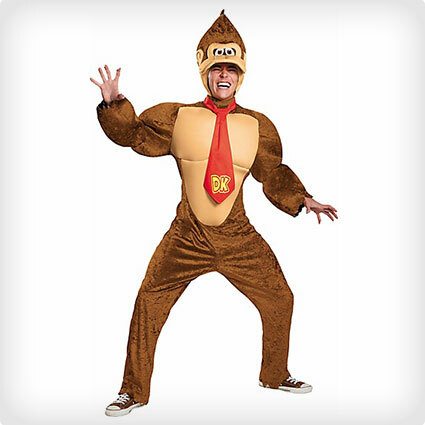 This donkey kong costume is just the thing for those retro gamers out there. 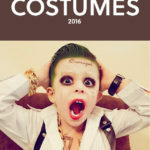 This hilarious costume Includes, Jumpsuit, Tie, Headpiece. Show everyone your fun side with this hilarious inflatable hula dancer. 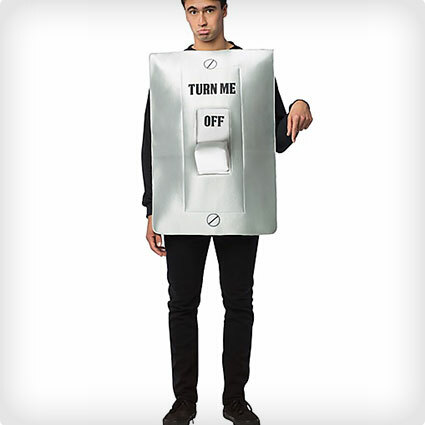 This costume comes with battery pack and requires 4 AA batteries. 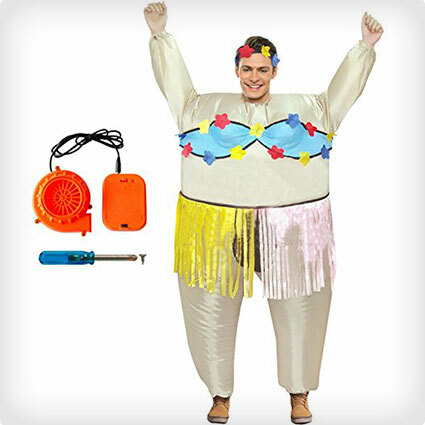 The costume is made from hight quality waterproof polyester. No one will be able to touch you in this fantastic MC Hammer costume. 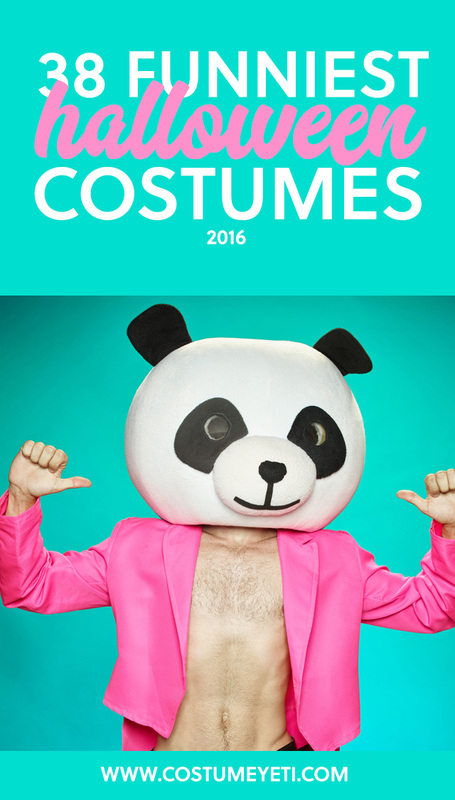 The costume includes colorful jacket and his iconic parachute pants. There is just time for me to stop hammertime. Dr Seuss created the cat in the hat and it went on to become one of his most famous characters. 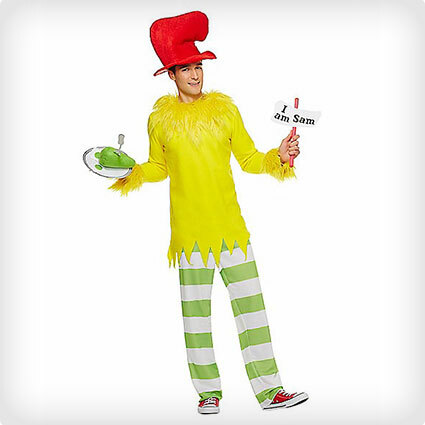 Now with this officially licensed costume you can dress up as the cat in the hat and wow your friends at your halloween party. The costume Includes, Romper with bow. Cher from clueless she was beautiful, sassy and always dressed to impress and now you can emulate her with this handmade replica of her on screen yellow tartan outfit. The outfit includes the jacket and skirt and is perfect for any fans of the clueless film. 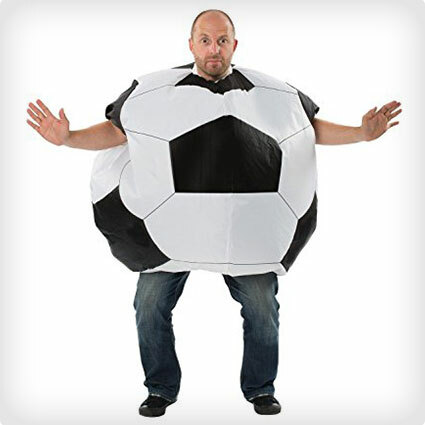 Everyone loves soccer and now you can show your love of the beautiful game with this Soccer ball costume. You definitely won’t be scoring an own goal with this excellent costume. 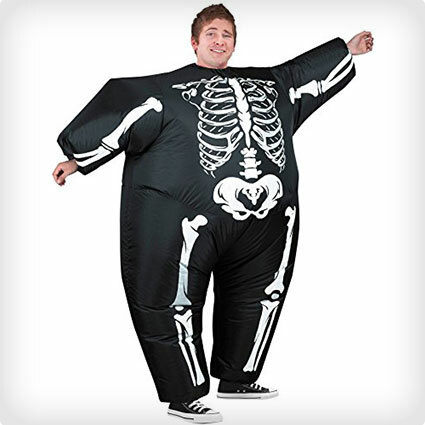 The costume includes a black and white round inflatable bodysuit with elasticated hems to ensure full inflation. Tell your friends that you will be coming to the party as iron man and then watch them fall on the floor laughing when you turn up as a literal iron man. 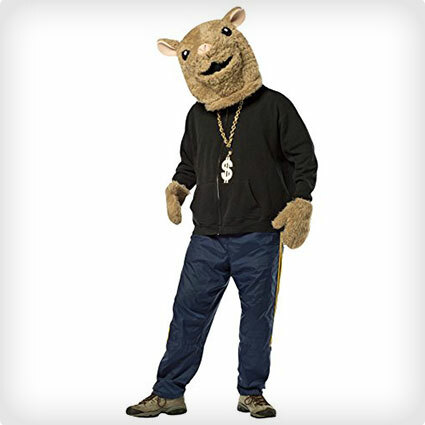 This costume is great for those with that quirky sense of humor. 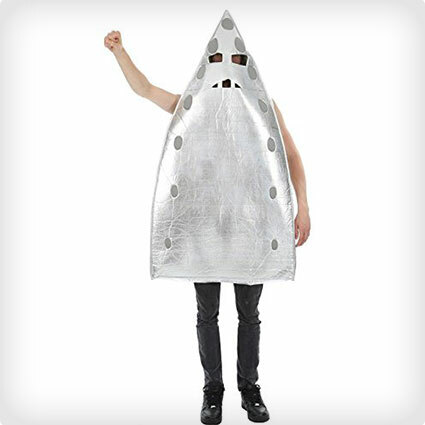 The costume Includes a silver foamed laminated fabric tunic cut in to an iron shape. An apple a day makes a great costume. 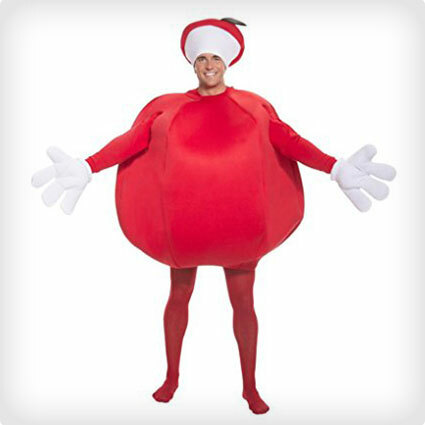 This great looking bright red apple costume is just perfect for any kind of fancy dress party. 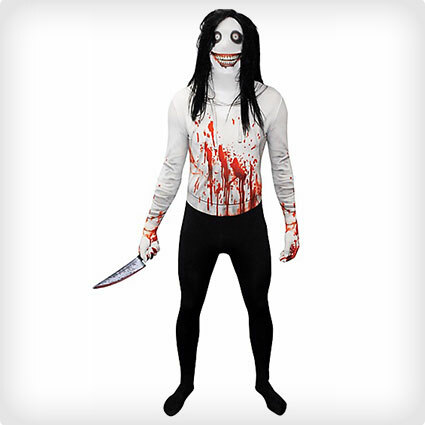 This costume looks so good that you will be the core of the party. 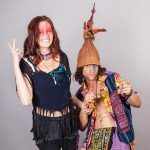 The costume is made from 100 percent polyester and includes the dress and hat. 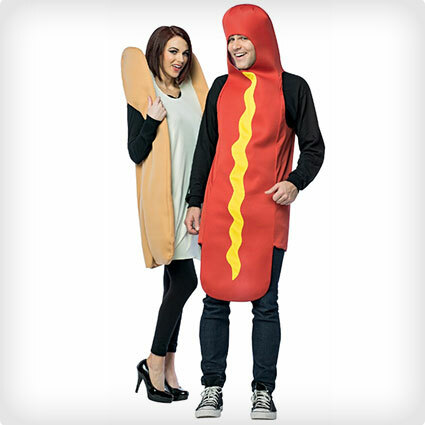 If you are looking for a couples costume that is going to have all of your friends laughing, then look no further because this hot dog and bun costume is the perfect choice! 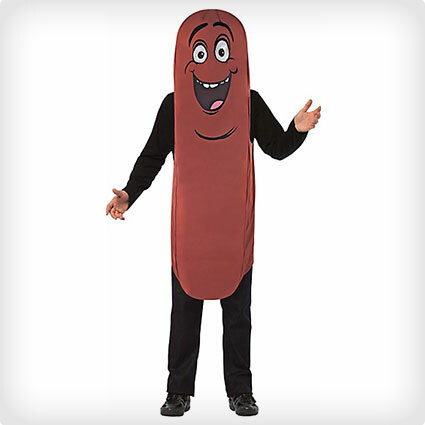 The two matching costumes are supplied together – one juicy hot dog tunic and one hot dog bun dress. 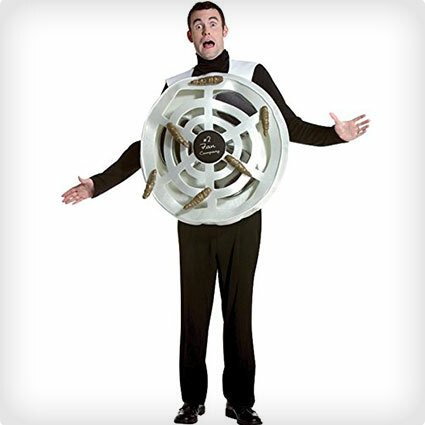 If you are THAT guy who is always going around proclaiming to the ladies what a good catch you are, then you are going to love this hilarious costume! 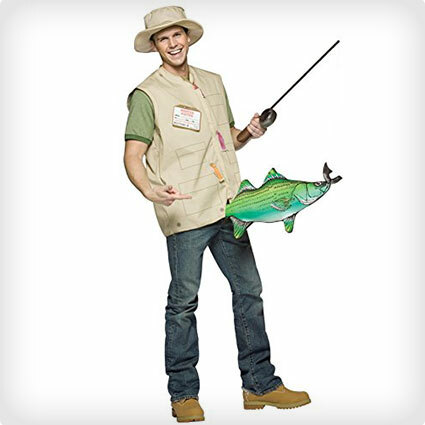 This ‘one size fits all’ costume includes a printed fisherman’s vest, a hat, prop fish and an ID tag that rather cheekily reads ‘Master Baiter’! This is one for the grown ups! 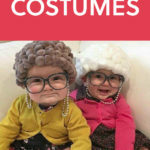 There is something strange, but amusing about people dressed as food – some foods are just funnier than others as well. We think this particular costume is likely to tickle your pickle! 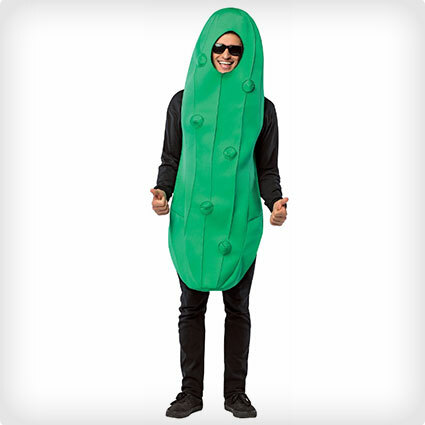 This unisex costume includes a one piece tunic with a pickle design. Well, blow me! This is one amusing costume! 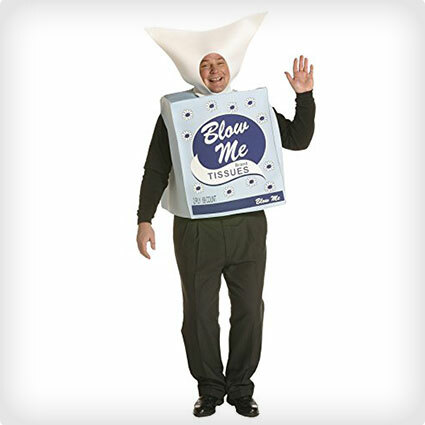 If you are the sort of person who enjoys a good play on words then you are going to love this costume which will allow you to transform yourself into a box of kleenex! 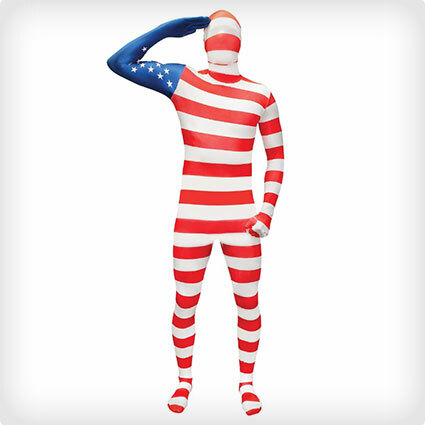 Get ready to take your Patriotism to a whole new level with this American Flag costume. We have all seen those Star spangled dresses and ponchos, but this is something far funnier! A skin tight ‘morph suit’ that will drape your entire body in the stars and stripes from your head all the way down to your toes! Do you remember watching the Animaniacs? They were probably amongst the zaniest of all cartoon characters! Now you can channel their amusing antics by dressing up for Halloween in this Wakko animaniacs dress which is supplied complete with an attached tail and a cute headband with Animaniac ears! 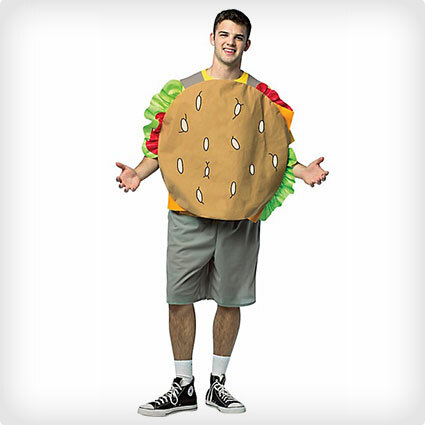 If you wish every day was Taco Tuesday, then you are going to love this costume! Make all of your friends smile in this beef taco outfit. 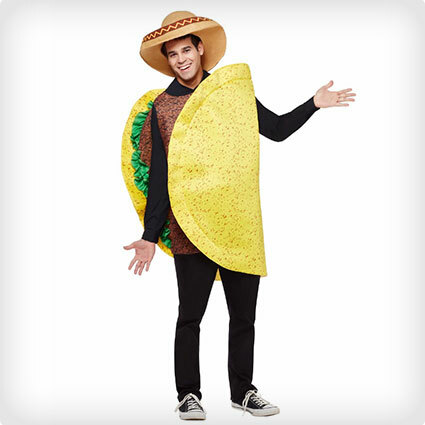 The polyester ‘one size fits most’ costume is designed to look just like a hard shell taco that is stuffed with beef and crispy lettuce. You will be the life of any Halloween fiesta! 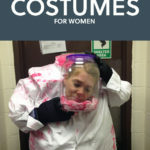 Here is another amusing costume which is designed to be a play on words. It gives a whole new meaning to Deviled Eggs! 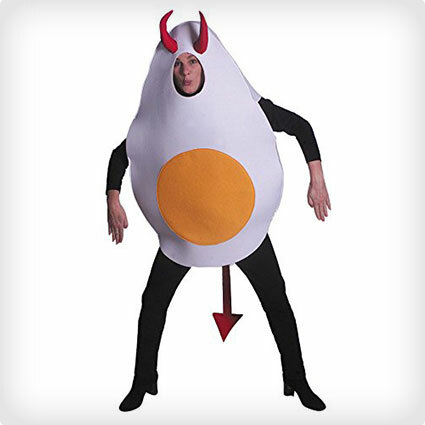 It includes a foam fried egg tunic which is embellished with devil horns and tail. 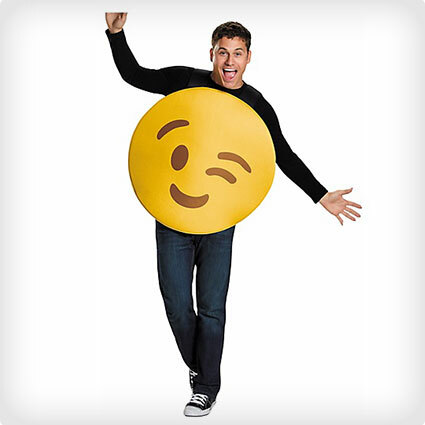 You will certainly raise a smile when you turn up dressed in this costume! 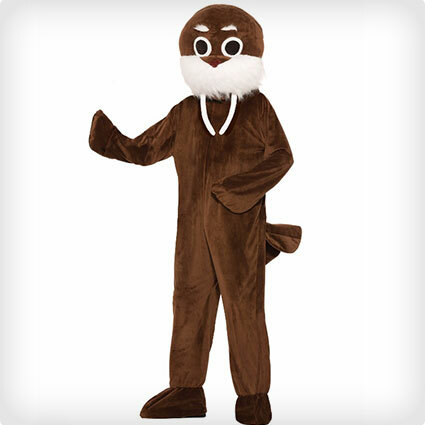 We don’t know about you, but this Walrus costume certainly makes us giggle! The furry jumpsuit is supplied with its own matching Walrus head complete with long tusks. The jumpsuit also has an attached tail, mitts and shoe covers to complete your look. The mask features large eyes with mesh openings to allow you to see where you are going! 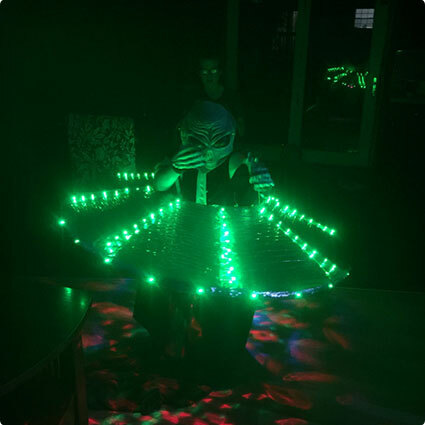 You will definitely be the life and soul of the party in this hilarious Beer Pong costume this Halloween. 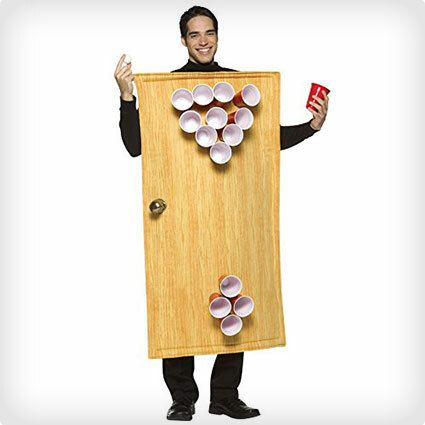 The costume consists of a wood effect tunic shaped like a table with cups attached for the Beer Pong element. 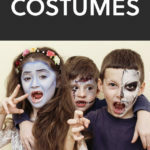 One size should fit most adults and everyone will love your costume. 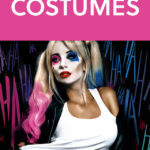 There are so many risque Halloween costumes out there, that sometimes all we need is some good clean fun! 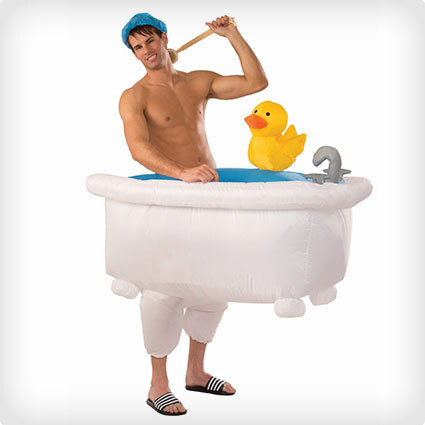 That is just what you get with this amusing costume featuring a shower cap and inflatable bathtub with an attached rubber duck! 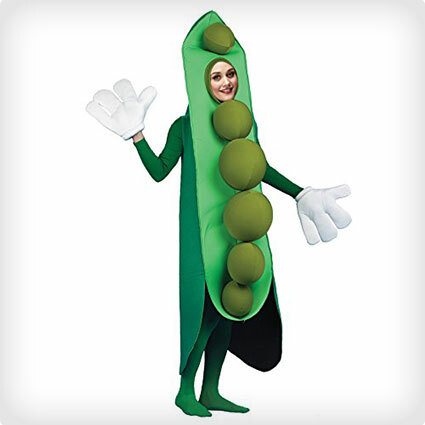 How funny is this Peas in a Pod costume? The costume includes a pea pod tunic and then you simply need to inflate and insert the supplied balloons to create the peas in order to complete your look! 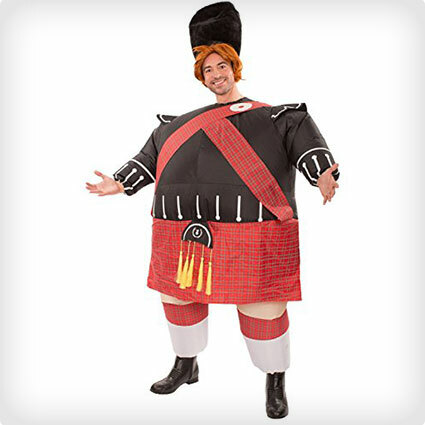 We are pretty certain that nobody will have the same costume at your party! Narwhals the unicorns of the sea and just as cute. 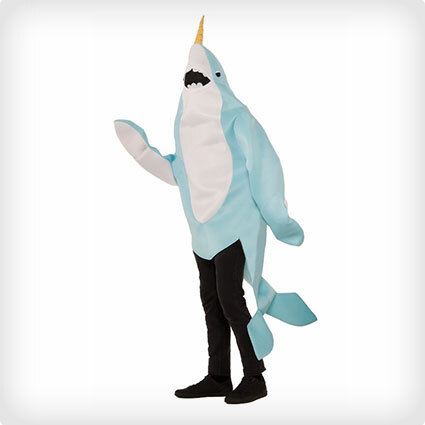 This all in one Narwhal costume is just perfect for those nice and sweet halloween parties. The costume includes a one piece narwhal costume. 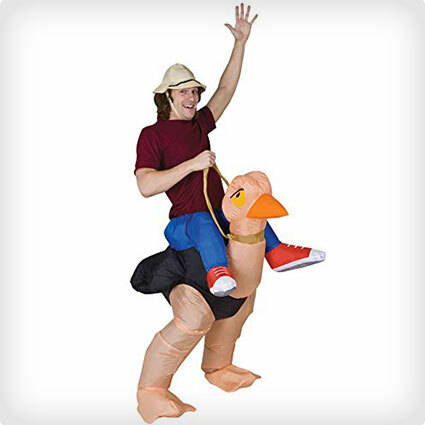 You won’t need to bury your head in the sand with this ostrich rider costume. 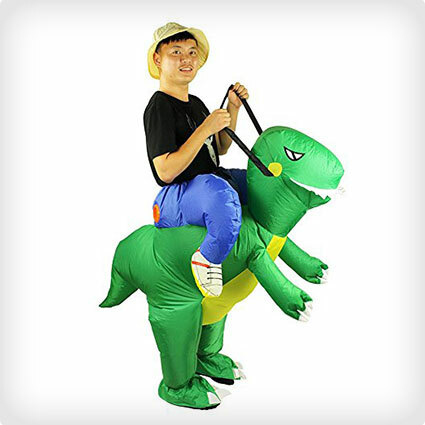 The costume will liven up any party and have everyone in stitches as you ride in on your magnificent steed. 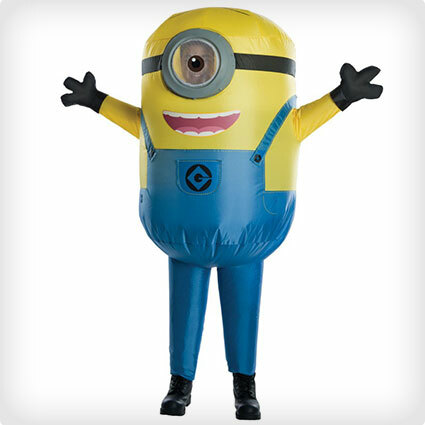 This inflatable costume require 4 AA batteries to inflate. Every man is called a big baby at some point in their life, so why not show everyone just how big a baby that you are with this great colorful baby onesie costume. 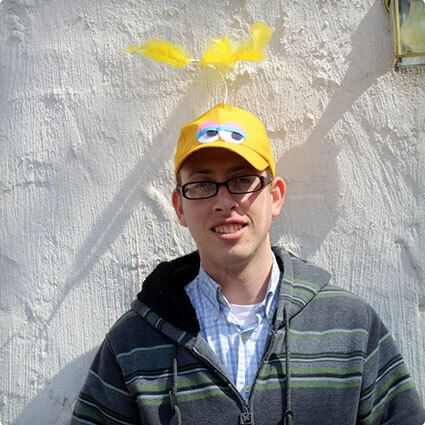 The costume has a rubber duck design and front zipper making it easy to put on and take off. 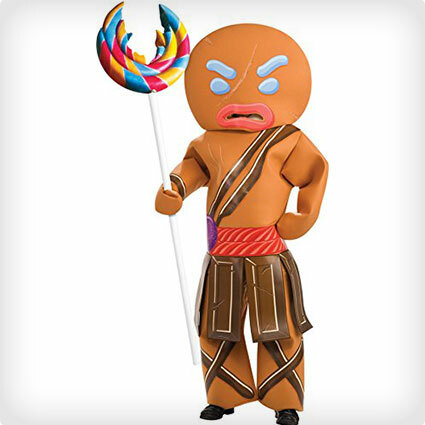 Become a strong and dangerous warrior with a sweet side with this Gingerbread warrior costume. Protect the rest of the biscuits and lead them to freedom or just go to the halloween party and have a good time your choice. The costume includes Jumpsuit and headpiece with angry face. It’s About to Hit The Fan! When it hits the fan things usually go bad, but with this costume when it hits the fan it’s a good thing because this is one great costume. No longer will you be wanting to be number 1, number 2 will be your choice. 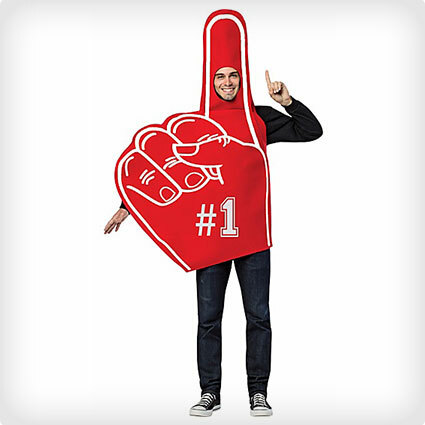 The costume comes with Foam fan with #2’s scattered around. This super creative costume certainly made us laugh, but it probably does require a bit of a dark sense of humour! 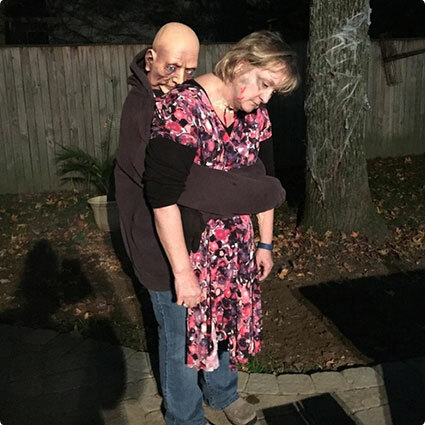 It uses make up and props to create a spectacular creepy illusion that a crazed killer has just claimed a new victim and is dragging the body away! The creator talks us through how to replicate this as a DIY costume. How cute is this alien spaceship costume? 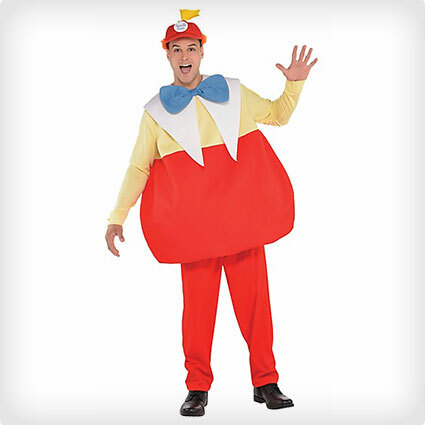 Here it is shown as a child’s costume, but there is absolutely no reason why you couldn’t simply scale it up a little to be worn by an adult. We are especially impressed by the lights – even more so when we learned that the spaceship itself is made of cardboard and tinfoil! Did you grow up playing with trolls? 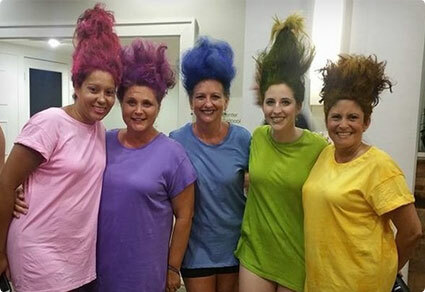 If so then you are going to love these DIY Troll costumes! They are so easy for you to replicate using a plain t-shirt and some coloured hair spray in a matching shade! 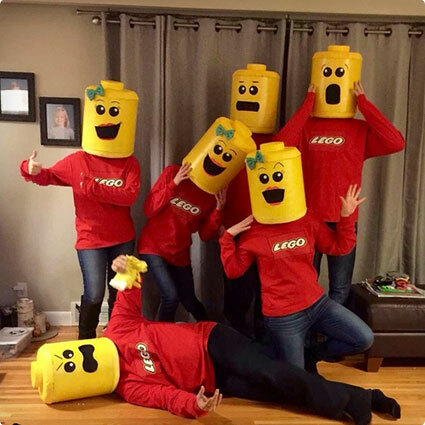 These DIY Mini Fig costumes are just awesome! They are really simple to make and yet the end result is so effective. We love how they each have a different facial expression! If you need a quick idea for Halloween, but you can’t or don’t want to wear a full costume then check out the tutorial for this funny Big Bard ball cap! It is quirky and fun and best of all you are likely to have most of the stuff lying around anyway! Another classic cartoon that has seen a reboot and therefore a renewed interest in the characters is of course, The Powerpuff Girls. 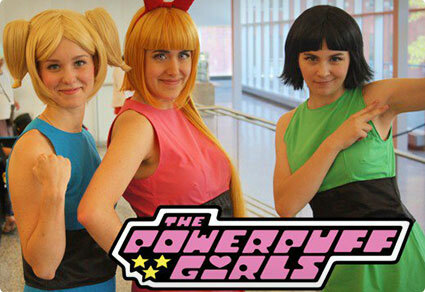 This DIY tutorial will show you how to create your own Powerpuff Girls outfits which we think are highly amusing on grown ups! 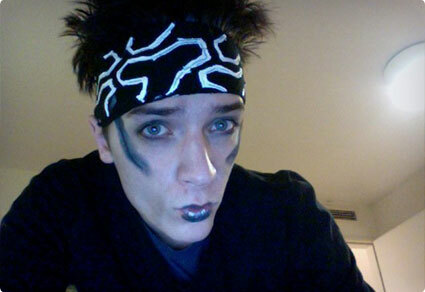 Zoolander is one of the most amusing characters ever! Now you can recreate his look with ease this Halloween thanks to the tips in this guide. All you need is some make-up and a patterned headband. 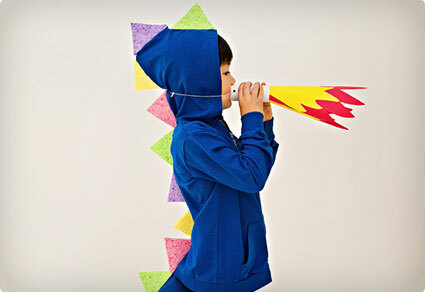 Again this costume is shown for a child, but it will work just as well in adult sizing too! This funny Taco costume is made primarily using colorful felt and as the tutorial demonstrates, you do not even need to sew it! That’s a win win situation in our book!